Beyoncé Wins Big In Lawsuit Against Man Trying To Trademark "Poison Ivy Park"
Last year, Beyoncé was involved in a legal battle against an L.A. company that was trying to trademark the name, “Poison Ivy Park.” The name was far too similar to Bey’s activewear brand “Ivy Park.” While she’s been duking it out in court over the past several months, it looks like the court has finally come to a ruling in Bey’s favor. 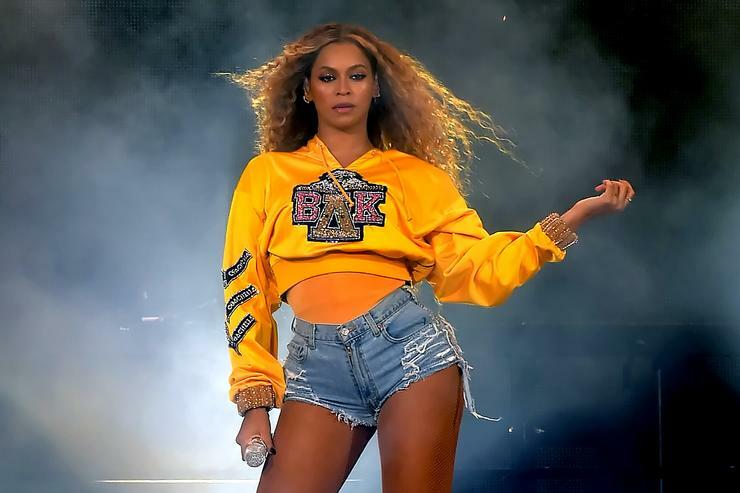 After a man was trying to launch a clothing line that had a incredibly similar name to Beyonce’s active wear brand, the Queen has finally shut them down. According to The Blast, Beyoncé has successfully shut down 42/72 Inc. attempt to trademark “Poison Ivy Park.” The company is ran by a man named Mike Lin who filed documents to trademark the same on the same day Beyoncé launched her clothing line of a similar name. Beyoncé said that the man’s attempt to trademark a similar name would ultimately allow him to profit off of years of her hard work. After her legal team initially filed an opposition to the application, Beyoncé’s team said that the use of “Poison Ivy Park” would confuse customers and also harm her brand. Due to her celebrity status, she said that the brand has gained international fame and a substantial commercial asset. Additionally, 42/72 also failed to respond to Beyoncé’s motion so the judge ruled in her effort.